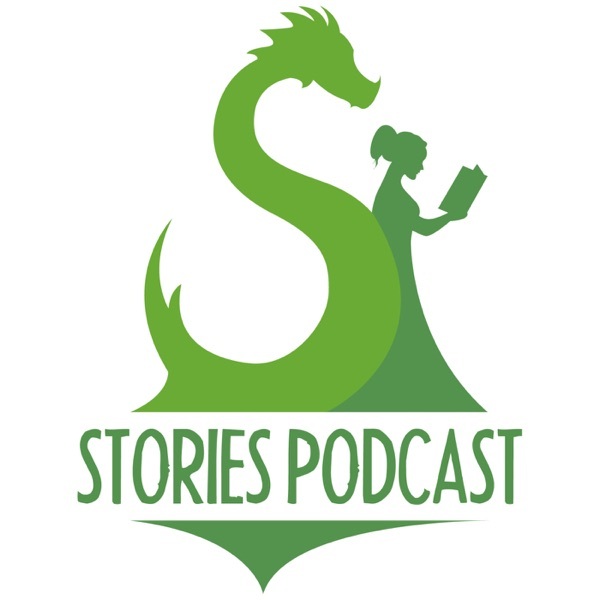 Stories Podcast - A Free Children's Story Podcast for Bedtime, Car Rides, and Kids of All Ages! | Listen Free on Castbox. Discover Stories Podcast - A Free Children's Story Podcast for Bedtime, Car Rides, and Kids of All Ages! Maya and her mom just moved in with her mom's new husband, and Maya is NOT happy about it. She just doesn't feel at home! But can the big maple tree in the backyard make things better? Tune in to find out!If you would like to support Stories Podcast, you can subscribe and give us a five star review on iTunes, head to patreon.com/stories and pledge to make a monthly donation, or just tell your friends about us! You can also check out this episode's sponsor, Mathnasium! Visit mathnasium.com/Stories or call 855-910-MATH for more information!Now you can find new episodes of Stories, completely ad-free, on Stitcher Premium! For a free month of Stitcher Premium, go to stitcherpremium.com/wondery and use promo code 'WONDERY'.Thank you!! For April Fool's Day, here's a rebroadcast of one of our silliest stories, The Golden Screw!If you would like to support Stories Podcast, you can subscribe and give us a five star review on iTunes, head to patreon.com/stories and pledge to make a monthly donation, or just tell your friends about us! You can also check out this episode's sponsor, Mercari, the selling app! Visit mercari.com to learn more!Now you can find new episodes of Stories, completely ad-free, on Stitcher Premium! For a free month of Stitcher Premium, go to stitcherpremium.com/wondery and use promo code 'WONDERY'.Thank you!! Today is part two of our special St. Patrick's Day story all about an epic Irish battle and the amazing power of music!If you would like to support Stories Podcast, you can subscribe and give us a five star review on iTunes, head to patreon.com/stories and pledge to make a monthly donation, or just tell your friends about us! You can also check out this episode's sponsor, Mathnasium! Visit mathnasium.com/STORIES to learn more about their programs, or call 885-910-MATH!Now you can find new episodes of Stories, completely ad-free, on Stitcher Premium! For a free month of Stitcher Premium, go to stitcherpremium.com/wondery and use promo code 'WONDERY'.Thank you!! Today is part one of a special St. Patrick's Day story all about an epic Irish battle and the amazing power of music! Stay tuned for part two, coming very soon! If you would like to support Stories Podcast, you can subscribe and give us a five star review on iTunes, head to patreon.com/stories and pledge to make a monthly donation, or just tell your friends about us! You can also check out this episode's sponsor, Mercari, the selling app! Visit mercari.com for more details, or look for it in the app store!Now you can find new episodes of Stories, completely ad-free, on Stitcher Premium! For a free month of Stitcher Premium, go to stitcherpremium.com/wondery and use promo code 'WONDERY'.Thank you!! This week's episode is based on a traditional Japanese folktale and it's all about two cats named Gon and Koma! Listen in so you can join them on their adventures and see what kind of trouble they get into!If you would like to support Stories Podcast, you can subscribe and give us a five star review on iTunes, head to patreon.com/stories and pledge to make a monthly donation, or just tell your friends about us! You can also check out this episode's sponsor, Mathnasium, the leading math-only learning center for grades K - 12! Visit mathnasium.com/STORIES for more information, or call 855-910-MATH!Now you can find new episodes of Stories, completely ad-free, on Stitcher Premium! For a free month of Stitcher Premium, go to stitcherpremium.com/wondery and use promo code 'WONDERY'.Thank you!! This week's episode is based on a Bulgarian myth about what happens when Father Frost is nowhere to be found and an entire village is buried in snow! Listen in to this longer story to hear all about the brave little girl that saves the day.If you would like to support Stories Podcast, you can subscribe and give us a five star review on iTunes, head to patreon.com/stories and pledge to make a monthly donation, or just tell your friends about us! You can also check out this episode's sponsor, Molekule, an innovative new air purifier! Visit molekule.com for more information!Now you can find new episodes of Stories, completely ad-free, on Stitcher Premium! For a free month of Stitcher Premium, go to stitcherpremium.com/wondery and use promo code 'WONDERY'.Thank you!! Honey Bear is bulking up for hibernation, but a bee gets in his way. Will he let it go and stay focused on his goal? Or will his anger get the best of him? Tune in to find out!If you would like to support Stories Podcast, you can subscribe and give us a five star review on iTunes, head to patreon.com/stories and pledge to make a monthly donation, or just tell your friends about us! You can also check out this episode's sponsor, Mercari, the selling app! Find it in the app store!Now you can find new episodes of Stories, completely ad-free, on Stitcher Premium! For a free month of Stitcher Premium, go to stitcherpremium.com/wondery and use promo code 'WONDERY'.Thank you!! Scales the snake wants to win the hugging contest, but nobody will let him enter! Are arms really THAT important for a good hug? Tune in to find out!If you would like to support Stories Podcast, you can subscribe and give us a five-star review on iTunes, head to patreon.com/stories and pledge to make a monthly donation, or just tell your friends about us! You can also check out our sponsor, Monica + Andy at monicaandandy.com!Now you can find new episodes of Stories, completely ad-free, on Stitcher Premium! For a free month of Stitcher Premium, go to stitcherpremium.com/wondery and use promo code ‘WONDERY’. Ms. Beakman thinks that kindness for kindness sake is important, and Mr. Pecks is not so sure. Who will win this argument? You'll have to listen to find out!If you would like to support Stories Podcast, you could leave us a five star review on iTunes, make a monthly donation at patreon.com/stories, or tell a friend about us!Thank you to today's sponsor, Monica + Andy. Visit monicaandandy.com to check out their amazing selection of baby and toddler organic essentials!Also, thank you to Stitcher Premium! We're excited to announce that you can now find our episodes ad-free on Stitcher Premium, and we're even offering your first month free! Just go to stitcherpremium.com/wondery and use code WONDERY. In this story, based on a traditional Ethiopian fable, a very nervous young man named Abel seeks a magical solution to his struggles, but he needs to retrieve a very special ingredient first! Will he be able to do it? Listen in and find out! And parents, see if you recognize the fun oldie that inspired this episode's song!If you would like to support Stories Podcast, consider checking out one of today's sponsor, Monica + Andy, at monicaandandy.com! You could also leave us a five star review, make a monthly donation at patreon.com/stories, or just tell a friend about us! please love me hot deary. I love the story so much by. you can see that I have seen it.